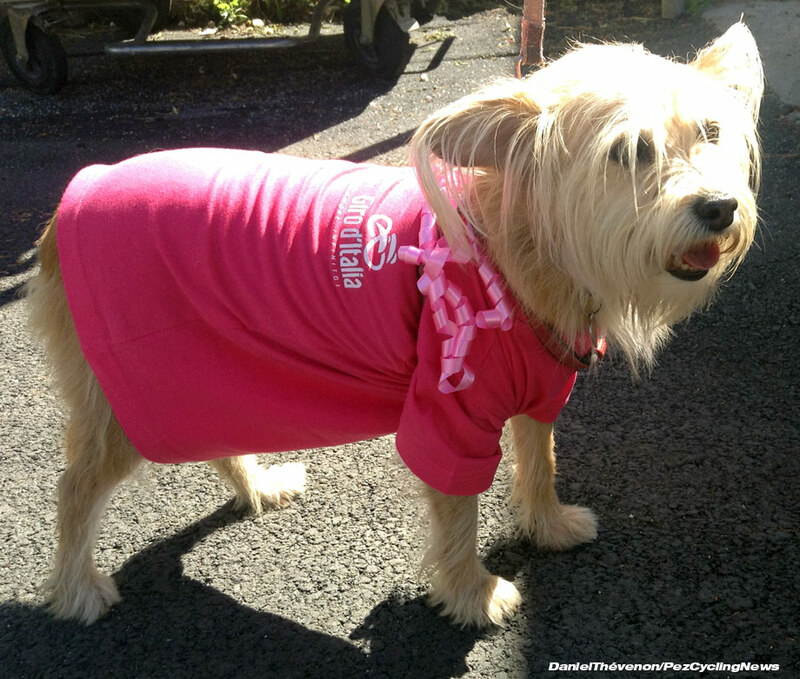 PezCycling News - What's Cool In Road Cycling : Giro’18 St.19 Roadside: A Barking Good Tappa! 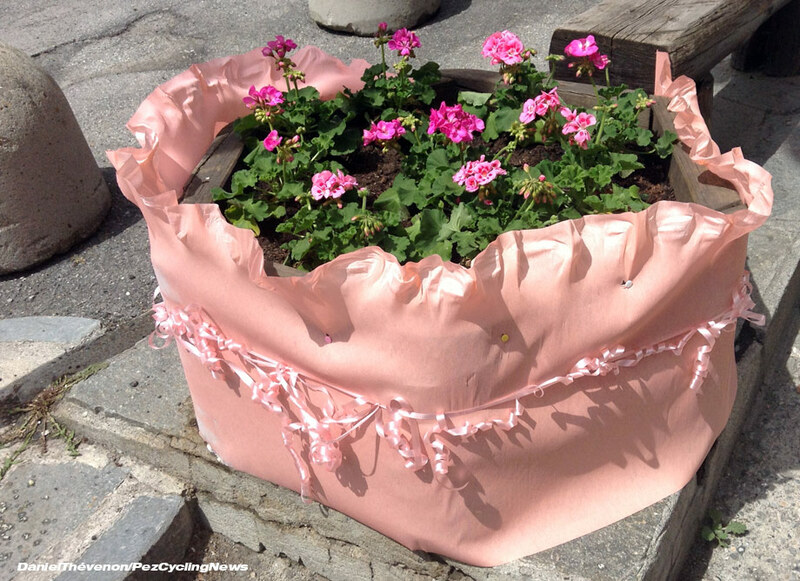 Giro’18 St.19 Roadside: A Barking Good Tappa! 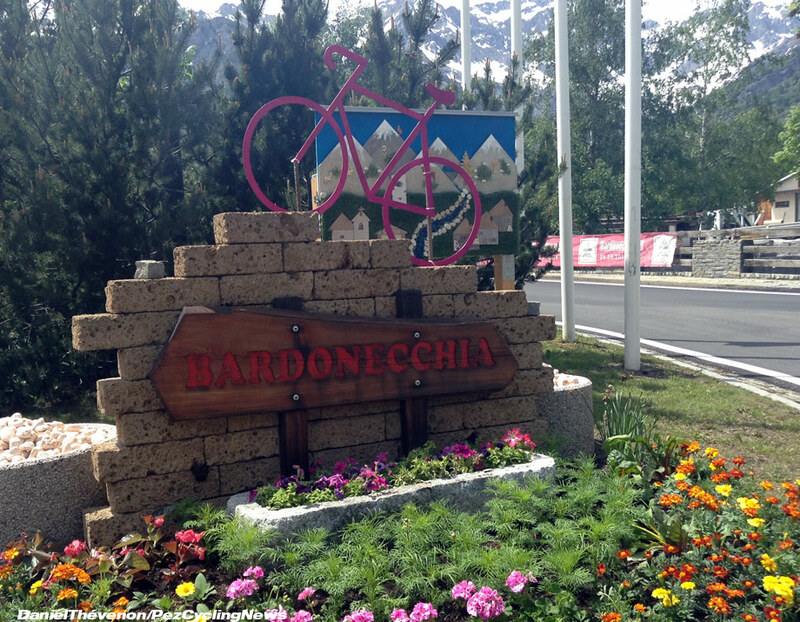 Welcome to Bardonecchia, a small town situated close to Turin, in the Piedmont region, at the mouth of the Fréjus tunnel connecting Italy to France. 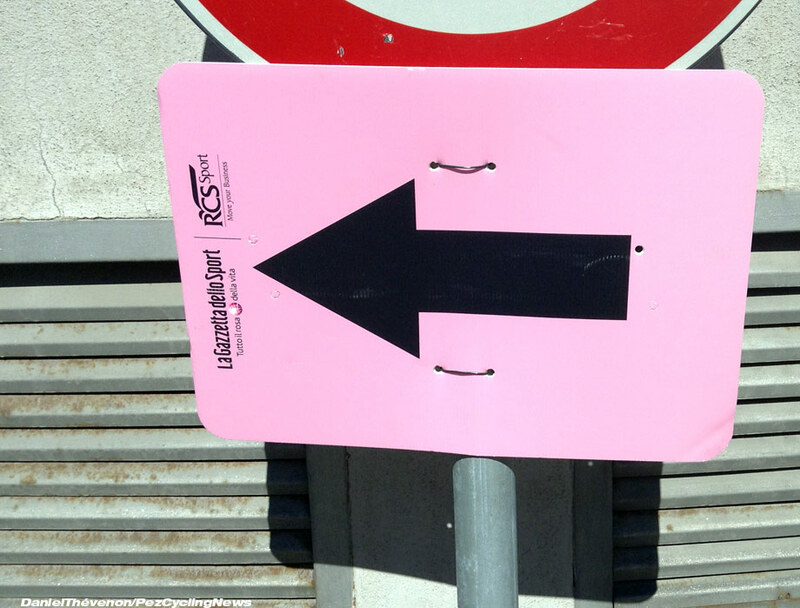 The city is proud to host the finish of Stage 20 in this year’s Giro d’Italia. 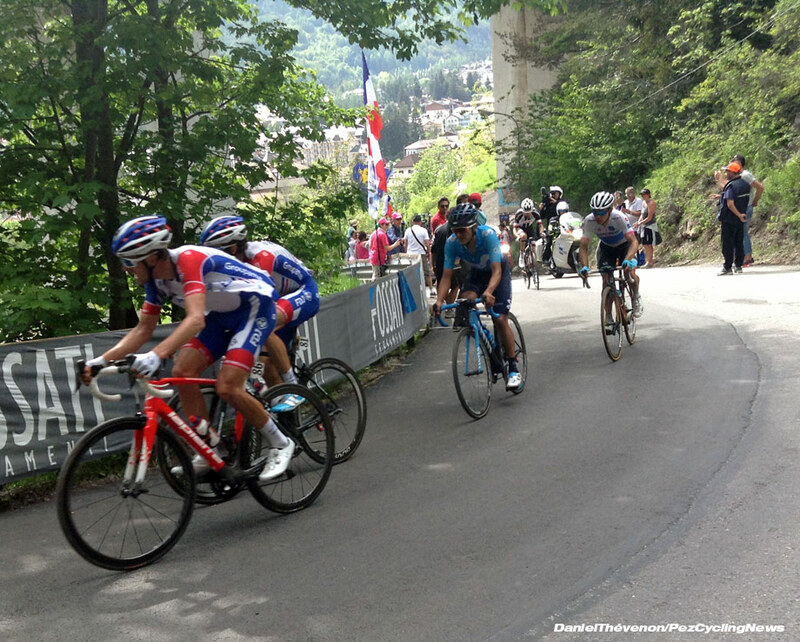 The atmosphere is festive and carefree, a world away from the tense ambiance that often plagues the Tour de France. Streams gurgle on all sides. 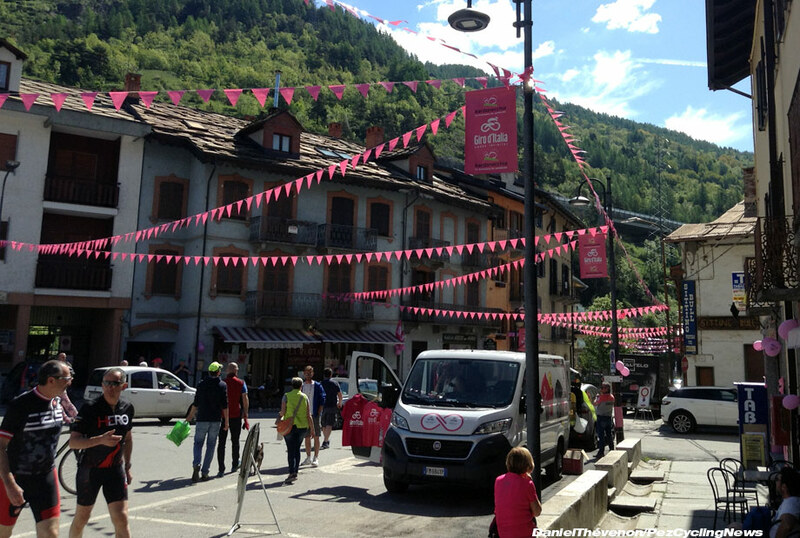 The pink bunting overhanging every street flaps in the fresh mountain breeze, while ubiquitous pink balloons bobble in synchrony. 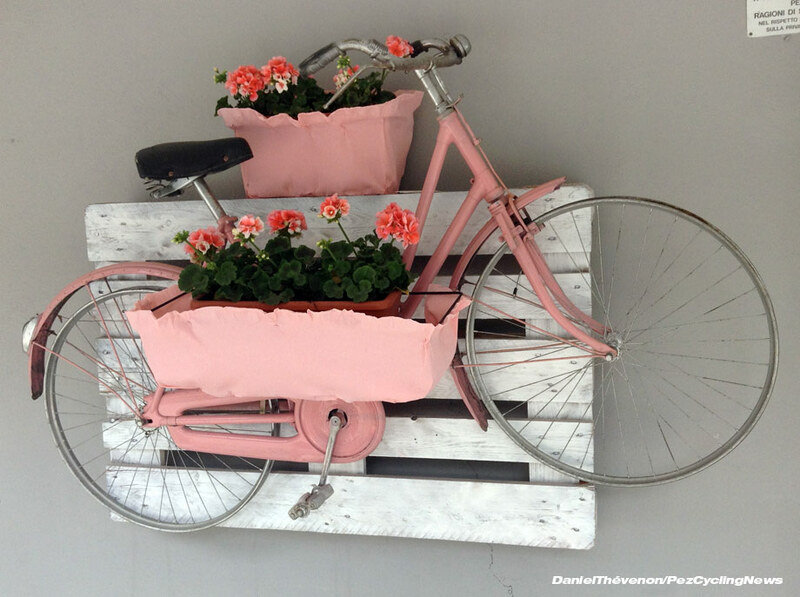 Pink the bicycles everywhere on display, pink their frames, pink their mudguards. 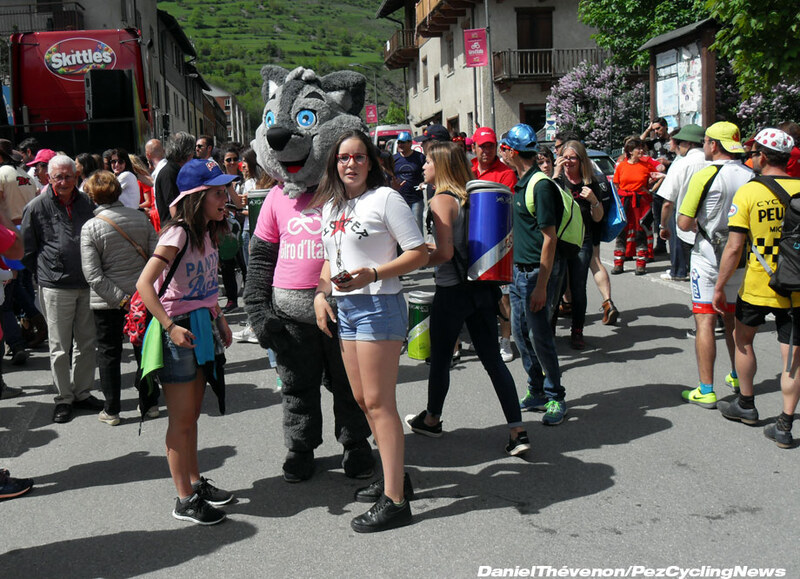 And pink the jersey of the Giro's wolf mascot, ever popular (at least on this side of the Franco-Italian border). All the ingredients are united for a barking good Tappa. 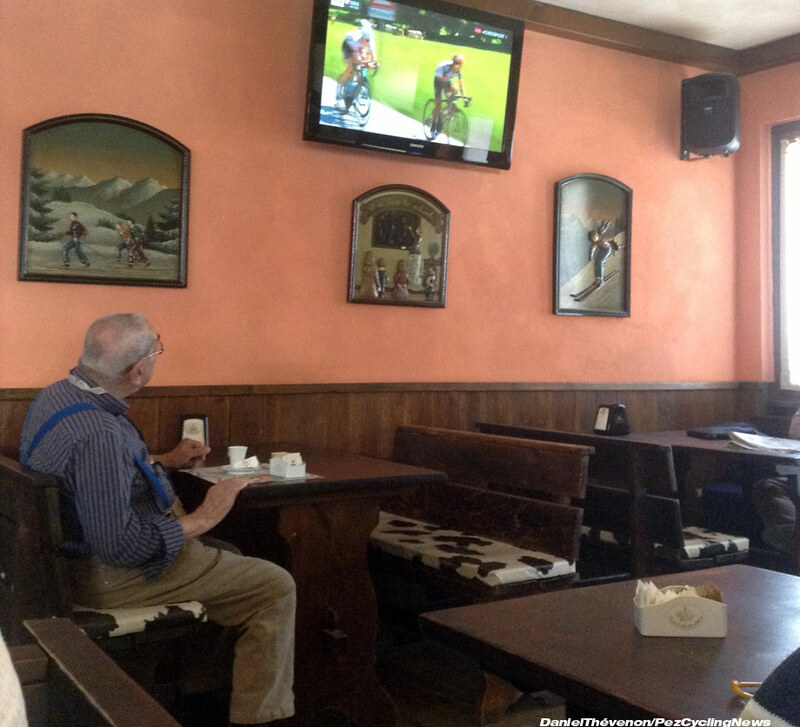 In the Obelix Cafe, a pensioner enjoys the Giro d'Italia in front of a cup of cappuccino. The way it should be done. 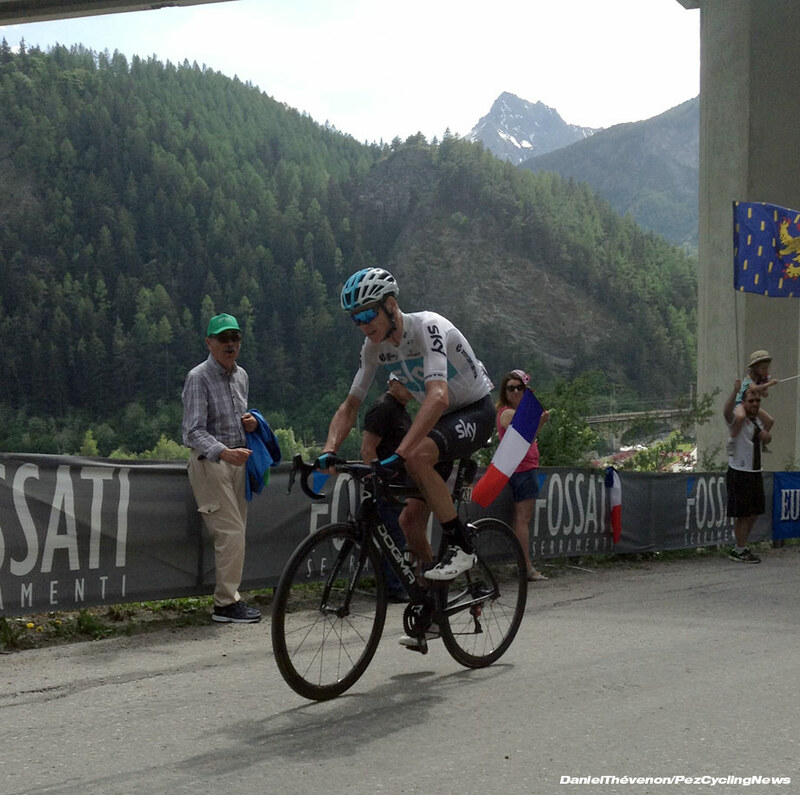 Today's action is providing thrills aplenty: Team Sky is taking the fight to race leader Simon Yates and to defending champion Tom Dumoulin on the steep, gravelly slopes of the Colle delle Finestre. The arrows visible throughout Bardonecchia all point in the same direction: to the foot of the day's final climb, up Monte Jafferau, made famous by Eddy Merckx in 1972, when ‘the Cannibal’ devoured his Spanish rival Jose Manuel Fuentes alive on its slopes. 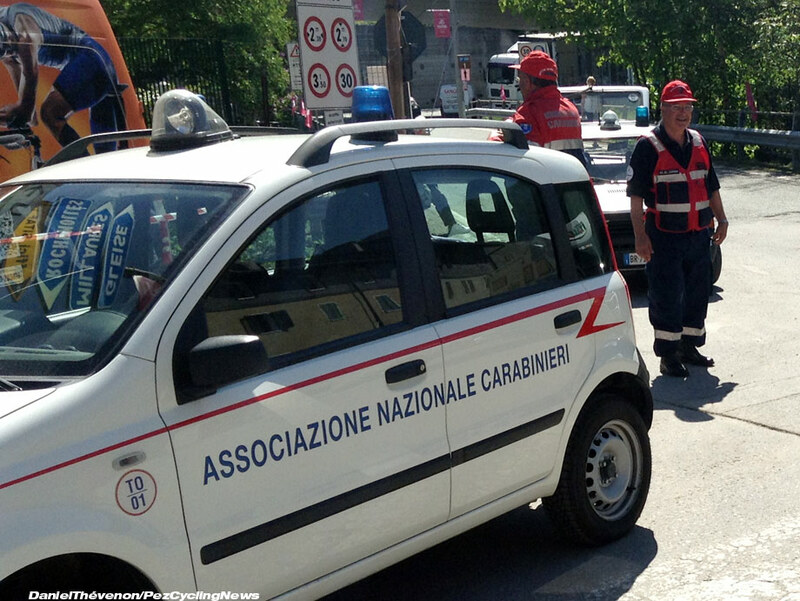 The entrance of the mountain pass is guarded by the Carabinieri. 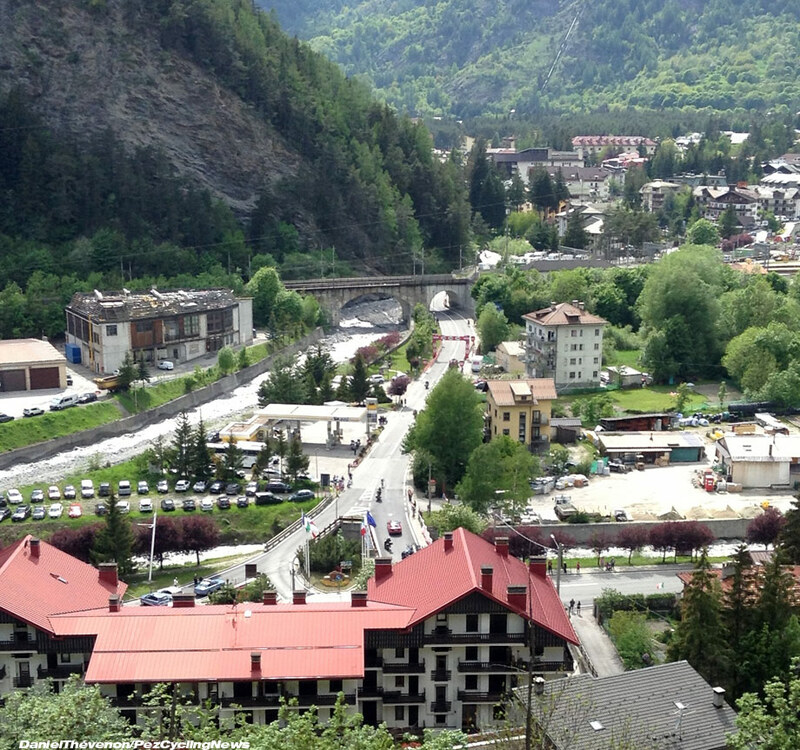 Access to the summit by car is forbidden unless the driver possesses an accreditation granted by the race organisers. A little farther, the road kicks up to a punishing gradient of 14%. These lads are stapling posters honouring the Giro's patrons to the railings. They had better hurry up: the riders will not be long now. Down in the valley below, a lone figure approaches the ten kilometer archway. Whoever he is, he will reach the foot of the climb imminently. Within a few moments, the rider enters into view. Spectators immediately recognize Chris Froome, handling his machine in an idiosyncratic and inimitable style, which some commentators have likened to a praying mantis playing the piano. Gracious or not, there is no questioning its efficiency. The Briton has put daylight between himself and his chasers, escaping a la Coppi over 80 kilometers out, and is now eyeing victory, a look of steely determination on his visage. 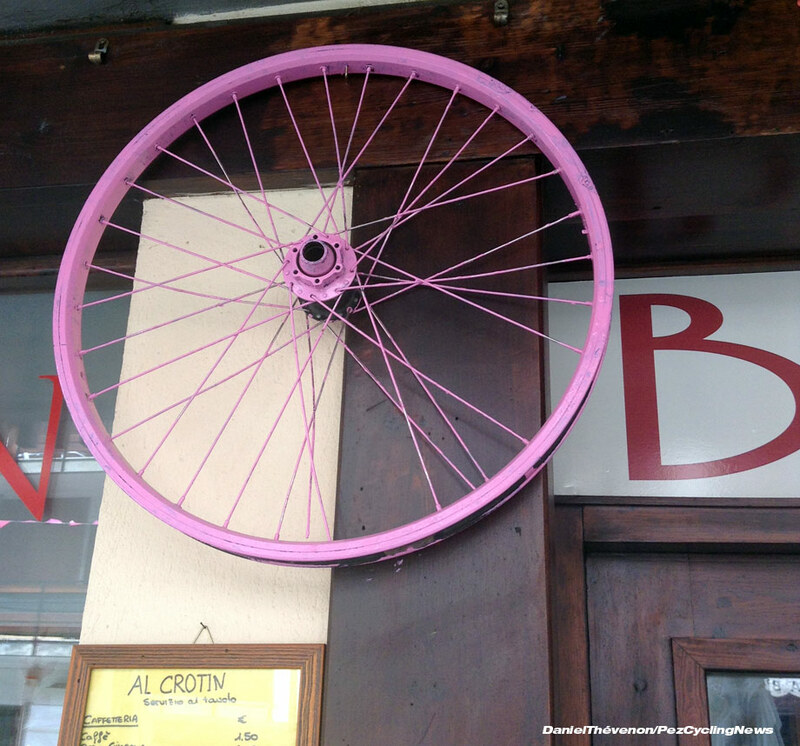 A wobbly start to this year's Giro d'Italia saw Froome crash in the streets of Jerusalem and lose ground in the opening two weeks, but he has since used the race's two most terrible climbs, Monte Zoncolan and the Colle delle Finestre, as launching pads for his bold bid for the Maglia Rosa. "He has chosen folly", L'Equipe's Philippe Brunel wrote of the Sky leader after the stage. An eternity elapses before another wheel is seen on the road. 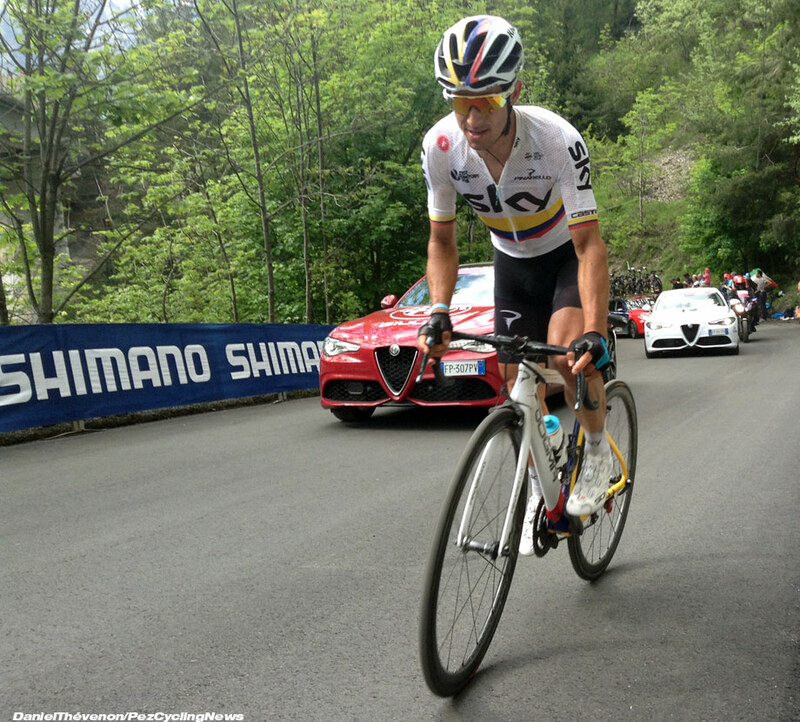 Froome has simply blown the competition away. This is carnage. 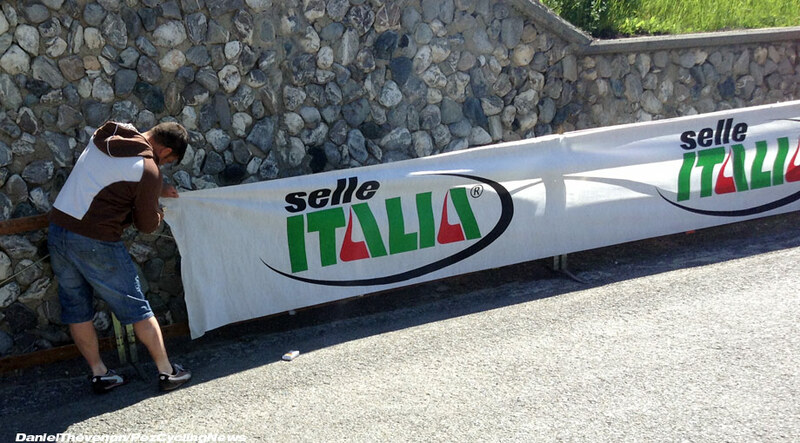 The Italian Grand Tour must surely be his, to add to his collection of conquered Tours and Vueltas. But wait! 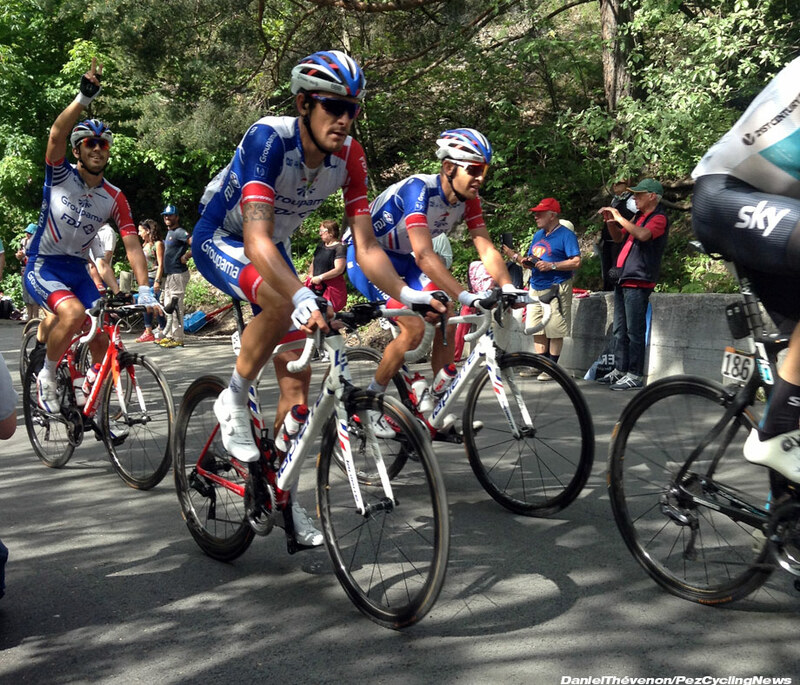 The blue, white and red of Groupama-FDJ's Sebastien Reichenbach and Thibaut Pinot finally materialises around the curve. 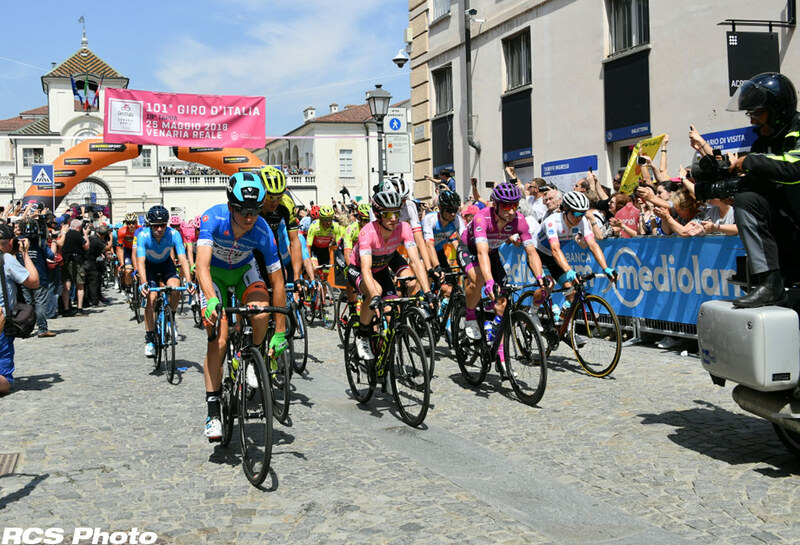 Tom Dumoulin struggles to follow Pinot, his Swiss sidekick, Maglia Bianca Miguel Angel Lopez and Ecuador's Richard Carapaz. The Dutchman is finding it difficult to haul his gigantic carcass to the top of this mountain. Champion of Colombia Sergio Henao pedals past a few minutes further adrift. The winner of the 2017 edition of Paris-Nice helped Froome earlier in the stage and has paid the price. 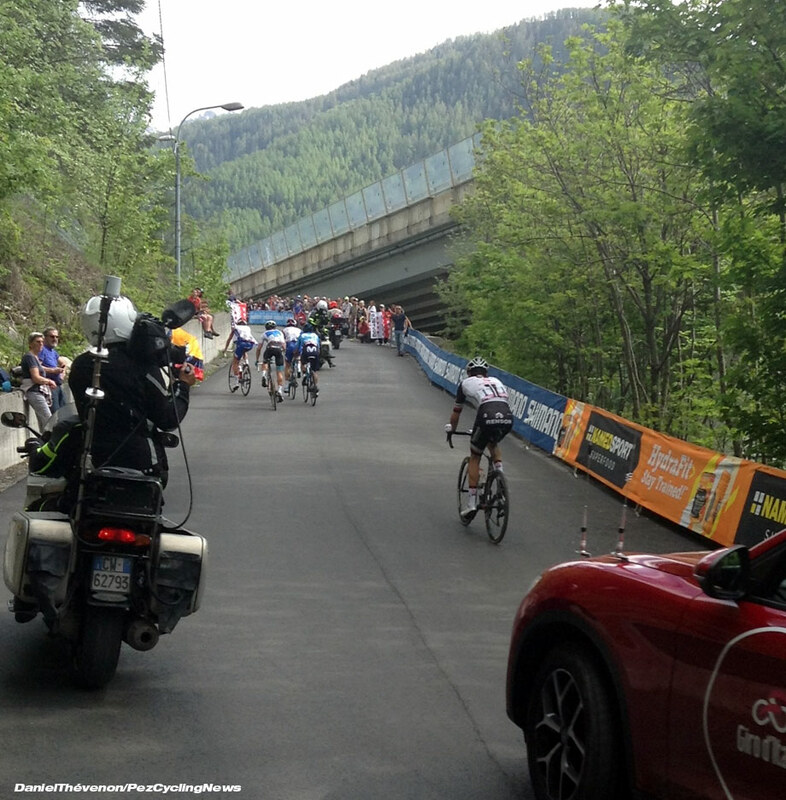 Long minutes after the favourites, athletes continue to slowly grind their way up to Jafferau. The suffering inflicted by this queen stage on the participants is written all over the face of EF Drapac's Hugh Carthy. But what of the wearer of the Maglia Rosa, Simon Yates, the man who outclassed all of his rivals in the opening two weeks of the race? It has been twenty minutes now and still no sign of the Englishman... Could he have crashed? Gone down with illness? Withdrawn from the race? The answer comes over half an hour after Chris Froome's passage. Tucked away in a gruppetto-like pack, the Mitchelton-Scott leader has truly surrendered his crown. 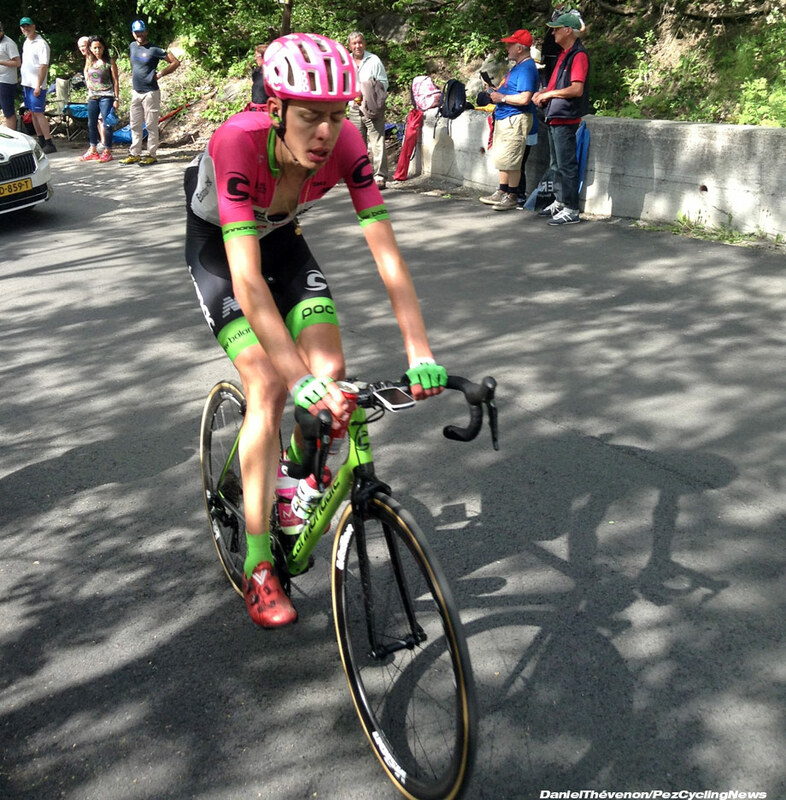 Exhausted and punished by the high altitude, Yates lost foot in the Finestre and never recovered. And to think that the organisers had already started etching his name onto the Trofeo Senza Fine... 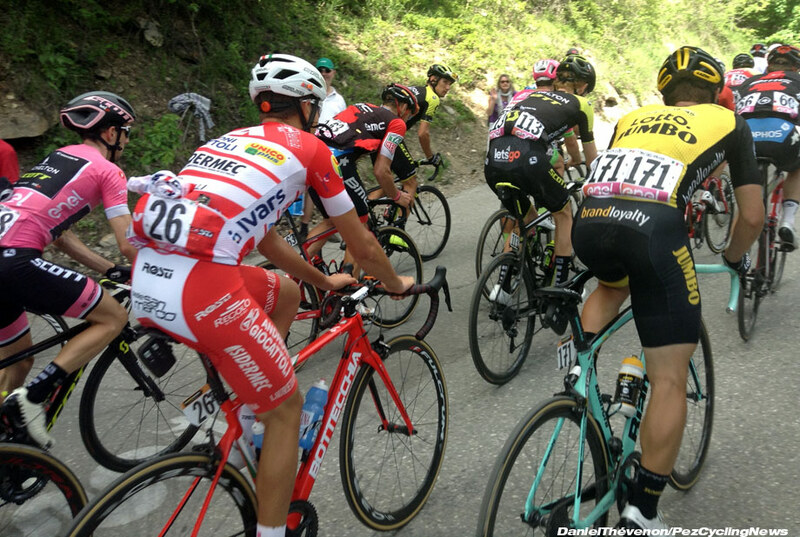 The manic scenes on the Zoncolan, where he was seen chasing Froome through corridors of tifosi and pitch-black tunnels seem now but a distant memory. 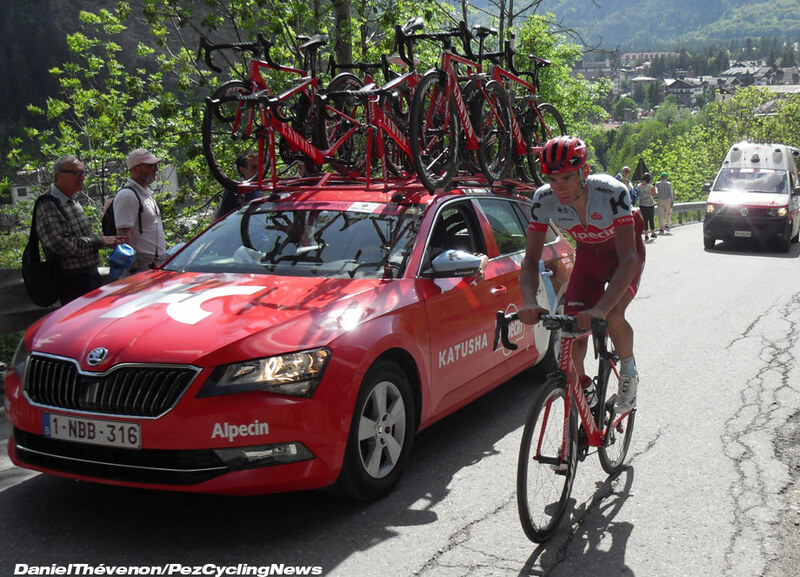 Katusha's Maxim Belkov is the last man on the road and the broom wagon is breathing down his neck. But the Russian will bravely make it to the finish, nearly an hour after the victor has cut the line.